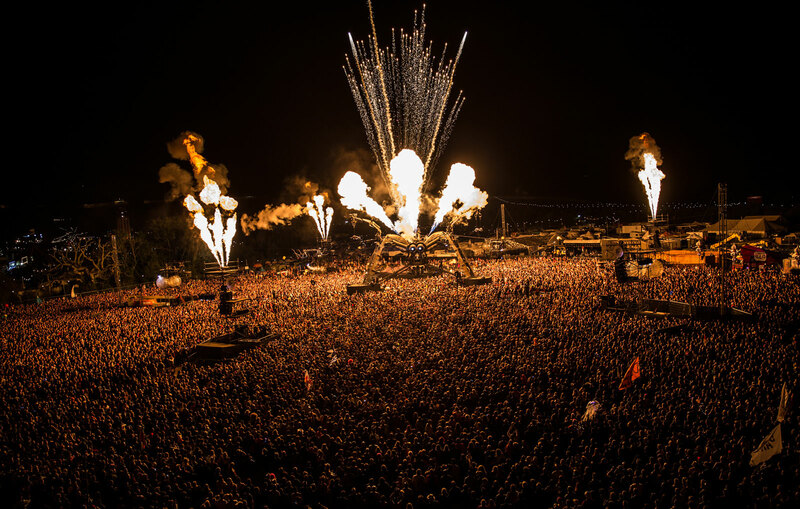 Ten years ago, Pip Rush and Bert Cole launched their "Afterburner Stage" at Glastonbury. 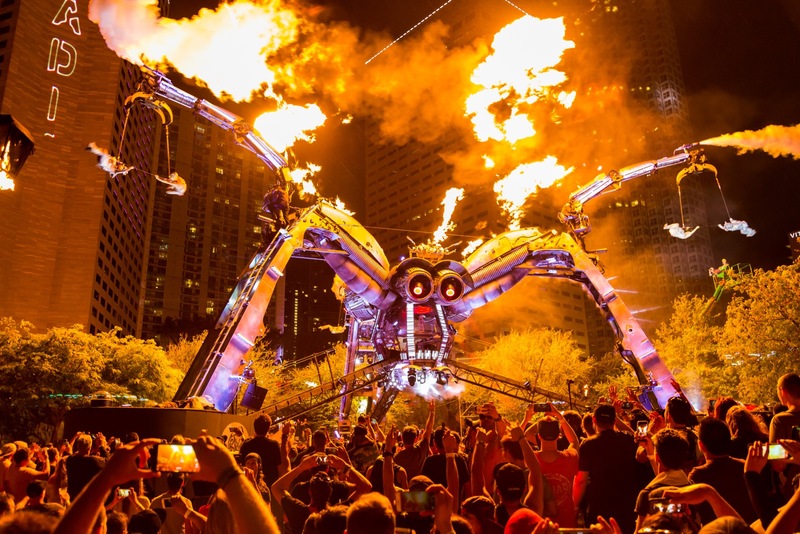 What began as a campfire chat had somehow come to life and, from that point up until now, led to the evolution of that rather unassuming stage into what is now Arcadia, a sprawling arachnid built from repurposed military vehicles and other such revitalized scrap metal. Around this jaw-dropping stage has grown a community of creatives, from sound engineers and visual artists to gymnasts and dancers, and of course the DJs, who are dedicated to rocking that stage like no other in the world. Everfest’s European Editor Marcus Barnes sat down with Pip Rush and Bert Cole, the two men at the centre of the spider’s web of creativity, to discuss its growing reach around the world, how it has led to a deep connection with indigenous communities, and how a community has become attached to the iconic creation. “Making up roles came secondary to doing stuff. We all mucked in and found skills that complemented each other,” quips Bert Cole. We’re at Glastonbury sitting a few hundred metres away from the Arcadia stage, a mind-blowing structure that has become one of Glastonbury’s must-see attractions over the last decade. For Bert, discussing his day-to-day tasks is tricky; this is a project that never had a fixed plan and neither Bert nor Pip, his partner in crime, ever sat down and gave themselves defined roles. Like many of the best projects, it all came together organically, no business plan, no future projections… just an idea, and a crazy idea at that. 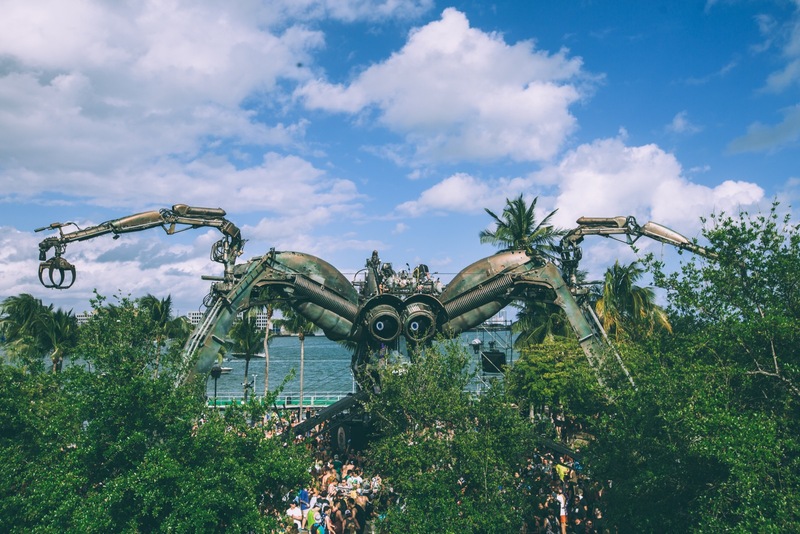 Both men had backgrounds in festival culture, working at big events building structures and making sculptures; with Arcadia they combined their skills and knowledge to embark on a new adventure that would take them way beyond anything they’d imagined. 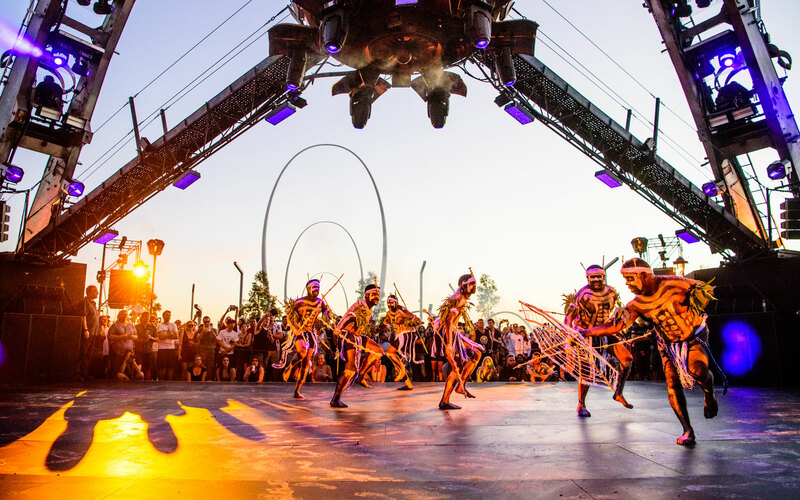 “We have both been on interesting journeys independently before we started working together and experienced loads of different things around the world; lots of festivals, parties, raves, building sculptures, creating outdoor structures for festivals, theatres and so on,” Bert explains. “We crossed paths at a time when were looking to do even more stuff, with the notion that there were things missing from festival experiences and things weren’t that immersive, [looking to add] three-sixty degrees that tied all the elements of the festival experience together,” he adds. From a conversation 'round a campfire, the notion of people dancing round a campfire arose, and Arcadia’s key USP was born. At the seminal stage people gather not just standing in one direction, staring at a DJ on an uninspiring stage, but they get to see fellow attendees enjoying themselves. Party people face each other, admiring the spectacle, enjoying the music and getting a kick out of watching one another. It’s a communal experience that feeds into, and enhances, every aspect of the festival experience itself. 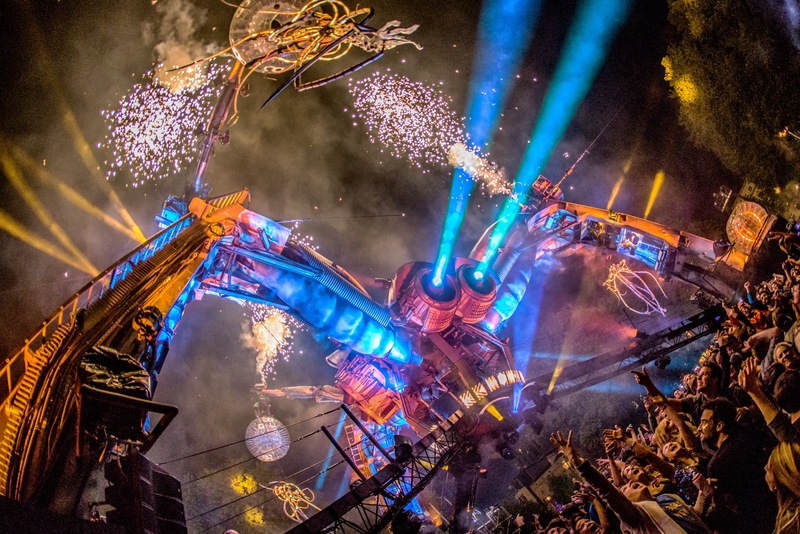 Nowadays not only does Arcadia present a stunning visual show with fire shooting out of the top of the spider, insane lasers and inspired lighting, but they also produce a theatrical opening show. Every year they conceive a new show, each one with its own narrative and each as impressive and mind-boggling as the last. “All the ideas happen in-house, we’re all really good friends outside of this. Quite a few of us live on the same yard. So it all comes from us as a group,” Bert tells us. “The first show we did was 'Landing,' which we did hire someone external to assist on, just to help us get our heads 'round what we wanted to express. It was quite a while ago but at the time there was some political stuff that was bothering us and a lot of things we felt driven about so we amalgamated a lot of those ideas into that first show, which was about a spider landing on Earth and observing humans for the first time. “That show has evolved into 'Metamorphosis,' the show we do now, which is the next step on the spider’s journey, going through a transformation, as we are, too. The main thought is that people can enjoy it whether they want to follow a narrative or not, we try not to preach a message,” he says. The shows include an insane array of technology, which is often donated by companies that want to give their new inventions a test run. “We’re seen as an exciting place to test things out, so sometimes we get people sending us new technology designed for concerts and big events like that. The first thing they do is come to Glastonbury and test stuff out with us, and sometimes that goes on be used for other ventures. It’s such a creative adventure,” Pip says. This means going to an Arcadia show will sometimes allow you to be privy to tech gear that has probably never been seen or used before. Festivals encourage communal vibes and unity among their patrons. There’s nothing better than having the time, space and permission to be able to connect with your fellow humans with no pressure to do anything but enjoy each other’s company. This sense of unity lies at the core of what Arcadia is about. “There’s unity in the way this is created too, because if you look at the different skill sets involved, most stages [require] the people work quite independently to set it up and get it rolling," explains Pip. 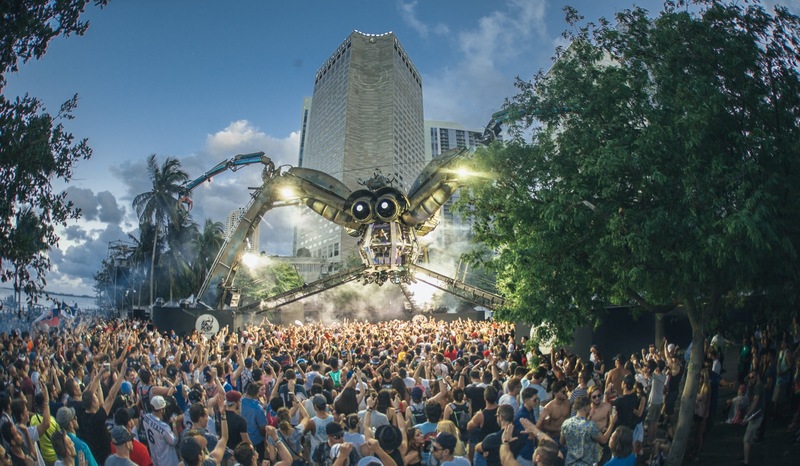 "Here, all the elements are tied to each other, the geometry of the structure is related to the geometry of the soundsystem, for instance, the performance too works around that principle – the spider unifies all the disciplines. If you hang out with any of the crew behind-the-scenes they’re all so different from one another. Somehow that’s helped to amplify the feeling of unity through the arena itself,” he says. Over the past few years that feeling of unity has been transported beyond the UK to international locations, transcending borders to unify the planet. 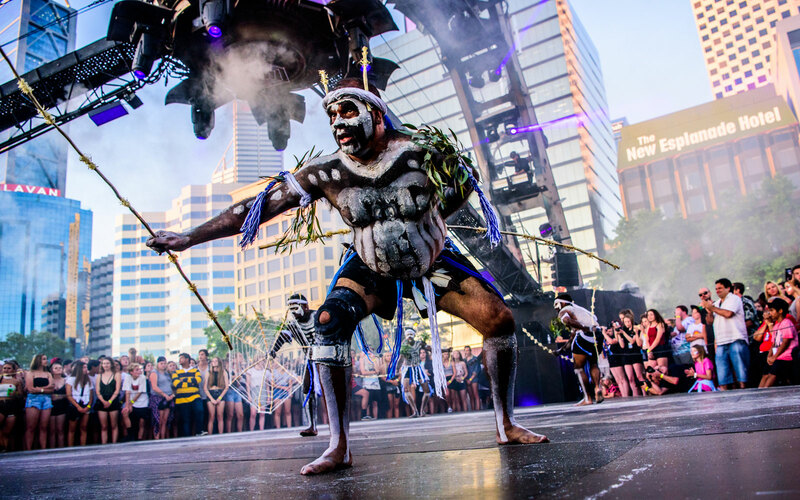 Starting with Bangkok in 2014, Arcadia has now appeared in the Middle East, Asia, Australia and America (at Ultra Music Festival in Miami), blowing the minds of new fans and making deep connections with indigenous communities. This new phase has taken Pip, Bert and the whole Arcadia community into new pastures, emboldening their zeal and boosting their passion tenfold. The genuine love both men have for what they do is heartwarming, and it comes through in every aspect of Arcadia. 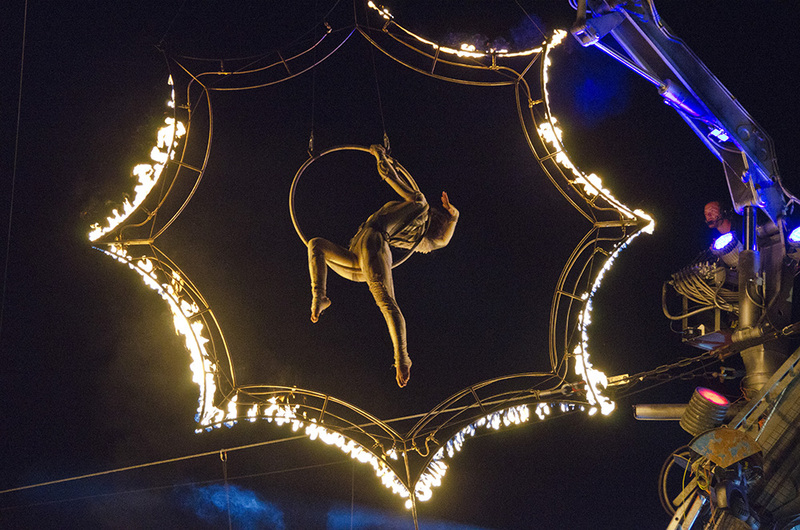 Looking to the future includes taking another big step forward with their first London show, a huge festival-inspired event to celebrate their 10th anniversary with the spider at the centre of it all. Perhaps more importantly though, they’ll galvanize their connections with tribes around the world and grow their community, which now includes children who are growing up in the shadow of the spider. Bert adds, “I remember, about five years ago, one of our crew members saying to me, ‘This isn’t just a phase is it? This is what we all actually do isn’t it?’ She was totally right, this isn’t just a job that we come home from, this is a lifestyle, which takes total commitment and results in a lot of joyful things. “When you’re living and working with a massive community that’s focused on the same thing, it’s great. It’s not like we’re all the same either, it’s diverse and melding all that together is exciting both intellectually and creatively. Now there are kids growing up in that community and this is normal for them, which is amazing,” he says.